My associate is 18 mos and has out grown the shop. Good Lordy! Feed bill for that big ol boy must be huge! Yep. I'd go broke feeding that! Looks like a good friend though. Beautiful animal. I bet he’s a big teddy bear to some and a deterrent to others! Man, he's a grown one! is he planning on getting bigger? 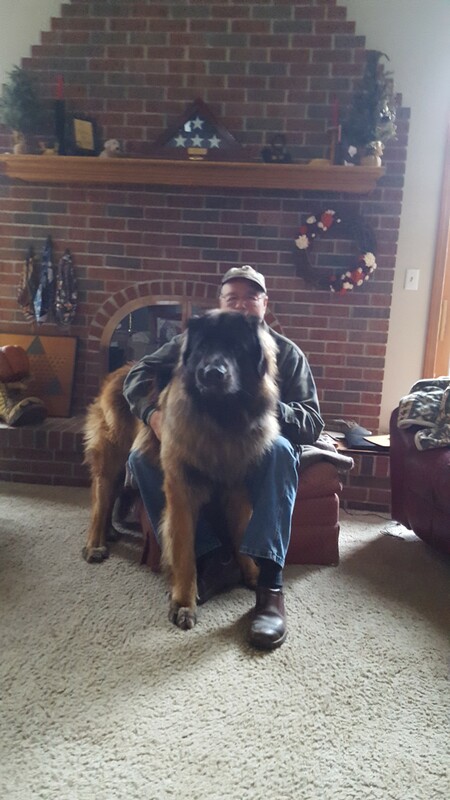 Gus is a Leonberger , they reach full size at 2.5 to 3 years of age he has about 14 mos of growing to do . If you want to keep a Grizzly and call it a dog...more power to ya...LOL!! He's "yuge" Looks like he will be fun to have around. Never heard of that breed before so I had to look it up. They seem amazing.